We’ll show you how to save money in 5 of the country's best budget-friendly cities. So you can afford to spend your holiday budget on the stuff that really matters. Save money and stay in empty uni rooms, even if you're not a student. This week we’re in sunny Spain bringing you the best tips, tricks and steals for an affordable holiday in Spain. We’ll show you how to save money in 5 of the country's best budget-friendly cities. So you can afford to spend your holiday budget on the stuff that really matters i.e another jug of sangria Get ready for #savystays! 1. Book ahead - although last minute deals can be found on everything from hotels to travel and attractions, the safer and cheaper bet is to book well in advance. This also covers you if you have to cancel. 2. 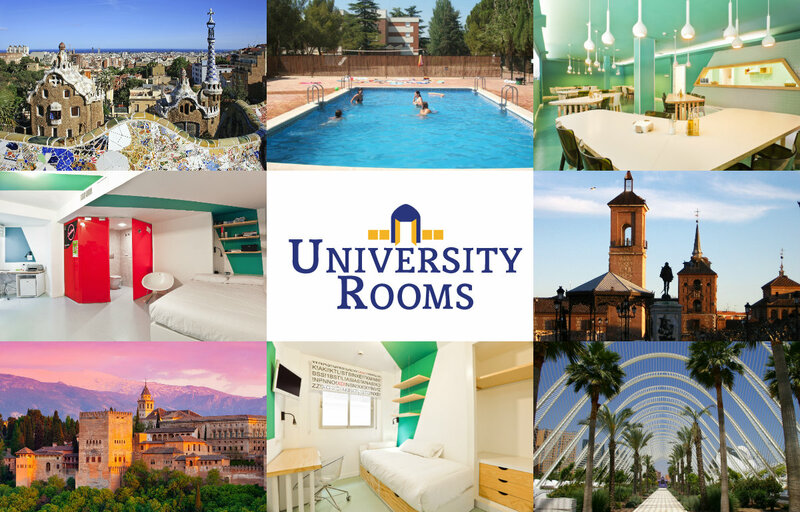 Stay in UniversityRooms- Great value B&B or self-catering in university residences in 120 cities. You don't have to be a student to benefit from these amazing prices - anyone can book! 3. Walk! Instead of spending your money on expensive taxis, grab a map and explore the city on foot, it’s more interesting, healthy and by far the cheaper option. 4. Look out for hidden fees - i.e are you paying for water at your restaurant? Are taxis more expensive after dark? Hidden fees like these can really add up so always make sure you’re aware of what you're paying for! 5. Barter! (where you can)- we are not saying go into the most expensive shop you see and try whittle down the price of their most expensive handbag, but in most markets, street food stalls and some small shops it is completely acceptable to haggle. Be confident and don't be afraid to walk away! Alcalá de Henares is a university city in central Spain, just 22 miles northeast of Spain’s Capital, Madrid. 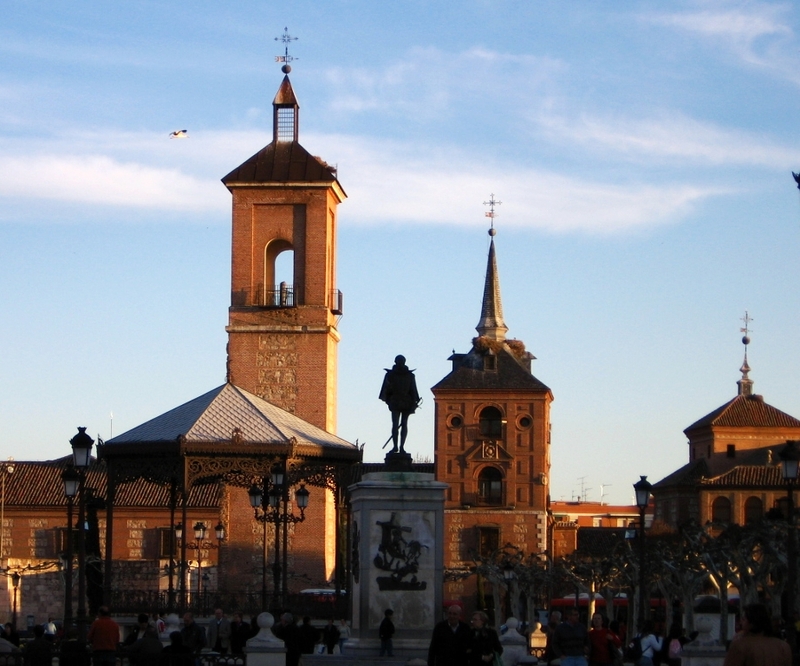 Locally, the city is just known as Alcalá, a popular name for cities throughout Spain. Best known as the home to the University of Alcalá, which has buildings dating back to the 16th century, the city's historical centre is one of UNESCO's World Heritage Sites. There is a variety of historical attractions in the town which you can see absolutely free of charge. There is a number of churches, convents and university buildings, such as College of San Ildefonso, dating back 400 years. The city is the birthplace of Spanish author Miguel de Cervantes and many of the attractions and events around the city play homage to the cities famous resident. All visits to Alcalá should include a trip to Corral de Comedias, an ancient outdoor theatre that still hosts impressive flamenco performances to this day. Nearby is the capital city, Madrid and you can get a train there from as little as €3.65- Bargain! Fancy a treat? Then pay a visit to the Clarissa nuns on San Diego square. The enclosed religious order are renowned for their candied almonds, ‘almendras garrapiñadas’ which are the perfect little snack if you’ve got a sweet tooth! Alcalá has a wonderful range of affordable tapas resturants, La Seda is very popular with local residents. Casa Angel has also found popularity for its high quality service and budget-friendly priced traditional spanish food. Valencia is a bustling city on Spain's south-east coast. The vibrant city has a fascinating historic past said to be home to the holy grail. As well as its colourful past its also known for being a lively modern city with futuristic architecture. 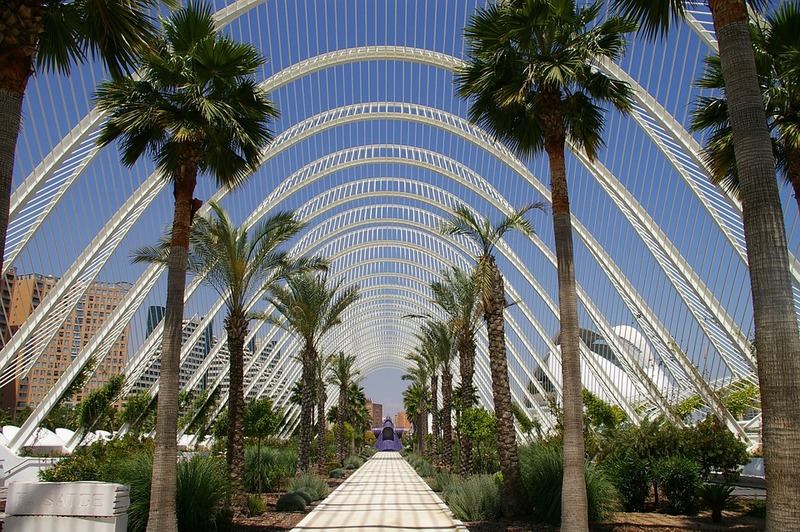 Valencia has everything from castles to the futuristic ‘City of Arts and Sciences’ buildings which house cinemas, an opera house and yearly sporting events. Valencia has a super cool market, Mercado Central, the perfect place to mooch about or try some delicious food if you’re hungry. 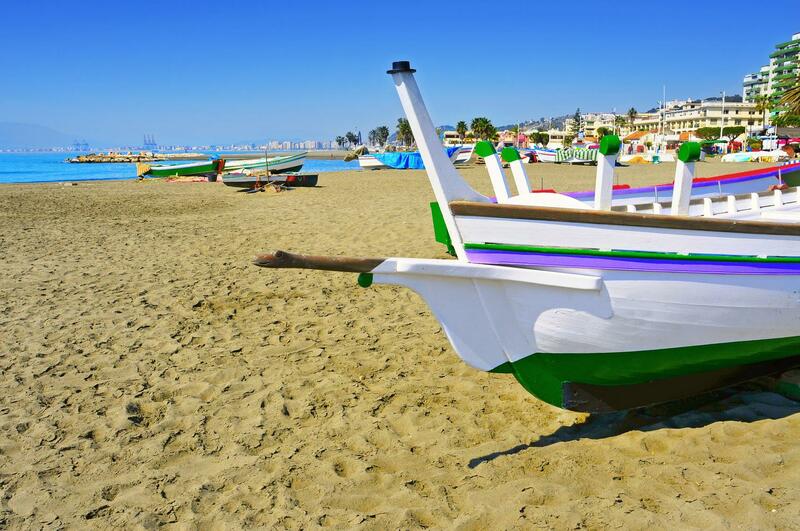 If you wish to get away from the hustle and bustle of the city then you’re in luck, Valencia has several sandy beaches which are largely undeveloped and are the perfect place to chill or just top up your tan- for free of course! For a charming, cheap and authentically local restaurant try El Forn del Carmen, this rustic restaurant has nothing but good reviews. Ideal for those on a budget as tapas portions are huge without the huge price tag and importantly the staff are honest with their recommendations. Barcelona is Spain's super vibrant, energetic coastal city. The sun is nearly always shining and there is always something to do here no matter what your budget is. Barcelona is perfect for students looking for a cheap summer break. There’s so much to do and the nightlife is always on top form. 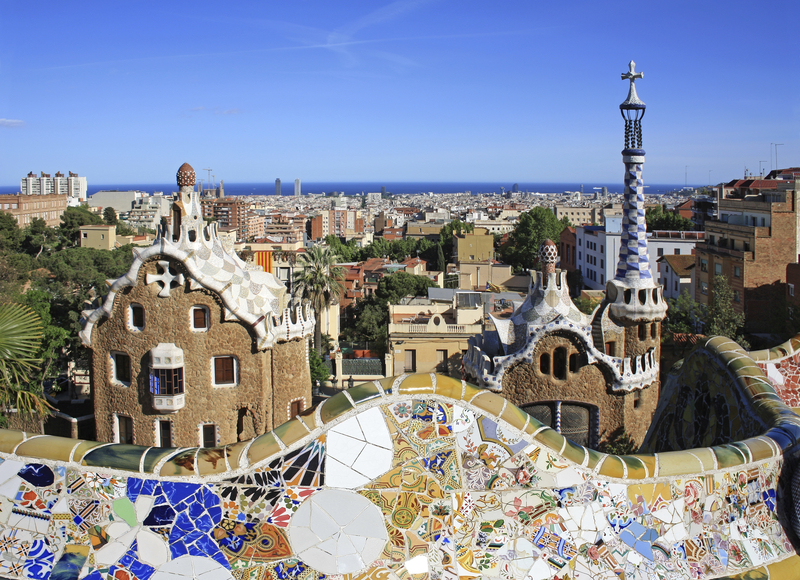 Famous for its incredible buildings by architect Antoni Gaudí, making it one of the world’s most Instagram-able cities, mooch around on a self-guided walking tour and see the sights of the city absolutely free of charge. Barcelona beach is completely free and is one of the best city beaches in the world. On the first Sunday of every month museums across the city are open for free, so soak up some culture without the price tag. Barcelona is a centre for world-class dining and drinking, with hundreds of traditional tapas bars. Food here is really innovative, exciting and most importantly affordable! Take, ‘The Fish & Chips Shop’ for instance, budget friendly fish which is a million miles away from the traditional english version- think battered hake, sweet potato fries and homemade chutney- delicious! Granda is a fantastic city in southern Spain with a rich historical heritage. The city is proud of its moorish heritage which is apparent in everything from its architecture to its local traditions. 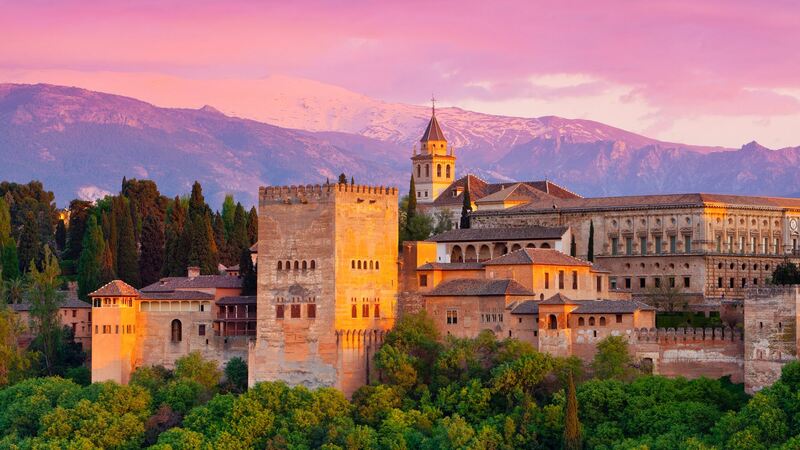 The UNESCO world Heritage site, Alhambra, the palace of Granada is a must for any of the city’s visitors- buy tickets in advance so you dont miss out. Make sure you take time to mooch around Plaza Nueva, the central square in Granada filled with boutique shops, ice creameries and cafe’s, the perfect place to stop and watch the world go by. Take a trip to the ‘Gypsy Caves’ in the Sacromonte District a traditional Roma neighbourhood in the east of the city where there are 150 homes built into the surrounding mountains. Spain’s Costa del Sol is popular for a reason and it’s capital, Malaga is certainly no exception. The southernmost large city in Europe, it is sensationally hot with beautiful sandy beaches that go on for miles and miles. The cities combination of stylish restaurants, quirky museums and chic boutique make it the go-to destination for a beach holiday in southern Spain. The number one thing to do in Malaga is to lounge about on one of the cities beautiful beaches which are free, so spend as much time as you want soaking up the sun in the knowledge it won't cost you a penny! There are lots of historical places to visit in the city, and most of them have a hefty entrance fee, to avoid this problem check the websites for details as most attractions are free to enter at least one day a week or provide good discounts for pensioners and students. Being a popular tourists destination its easy to get caught out and spend lots of money in Malaga, the key is to think like a local and head to local bars and restuarants in the city. La Recova is a popular restaurant which specialises in affordable meals, loved by locals and tourists alike. Not just for students! B&B & Self-catering accommodation in university residences is a great alternative to a cheap hotel or hostel and a unique backstage pass to cities all over spain. There is something for everyone as options include rooms in historic university residences to modern and simplistic buildings. Look at our Spanish Accommodation here. If you’re looking for a budget travel alternative for your city break, you’ll be glad to know you can have access to student prices without compromising on the quality. Colleges over the world open their doors to visitors, offering a charming stay in often great central locations. Rooms are usually available during holidays, so be sure to book yours 2-3 months in advance! Cambridge vs Oxford: Which Is the better City? Fun and affordable things to do and helpful tips for your favourite British family holiday destinations. Cheap, quirky and Family Friendly alternatives to hotels and b&b. Ahh, Bonjour mon petite champignons! Are you feeling the need to escape this Easter for a well-earned break? Require fantastic wine, food, culture and family friendly accommodation whilst keeping to a budget? Our list of wallet-happy university rooms will have you shouting OUI! before you can stop yourself! City breaks - hmmm, well, let’s reel out the faves - Barcelona, Paris, Lisbon, Amsterdam - yadda, yadda, yadda (yawn). That’s a tad unfair, but sometimes you should visit somewhere that isn’t one of the obvious classics. And this is where Lyon comes into its own. Beautiful, cultural and fun. Here's our top 5 reasons why you should avoid the obvious and stay in Lyon. With so much to do in Cambridge it can be hard to choose! UniversityRooms has compiled this list with insider knowledge of things to do, places to eat and of course where to stay; we've handpicked picked the coolest, quirkiest and affordable places that locals love - perfect if you're looking for inspiration for your next romantic weekend away, family holiday or city break with friends. As with any city there are literally hundreds of places to eat, but some are not as equal as others. Read our top 5 guide to Rome's best establishments when visiting this glorious city. Read our top 10 travel hacks to cheaply navigate your way around Canada. A must have read for everyone - not just backpackers! We made our own YouTube advert featuring Goodenough College in London's Bloomsbury. We hope you enjoy it! Read our helpful guide full of sound advice to newcomers wanting to enjoy the Edinburgh Fringe Festival; from what to wear, to where to stay! Helpful Guide to affordable beach holidays in Europe, Looking at the best beaches on a budget! The UniversityRooms guide to a weekend city break in London plans your break from Friday night to Sunday morning with the best, places to stay, things to do and top tips to make your city break a weekend to remember! UniversityRooms Melbourne Coffee Guide- a guide to the best coffee shops in Melbourne, with where to go and where to stay. Our Top 10 European Summer city stays for under £40 a night. #savvystays! We’re bringing you affordable city stays to make the most of Europe this summer. Save money in 10 of our favourite cities so you can afford to spend your holiday budget on the stuff that really matters. 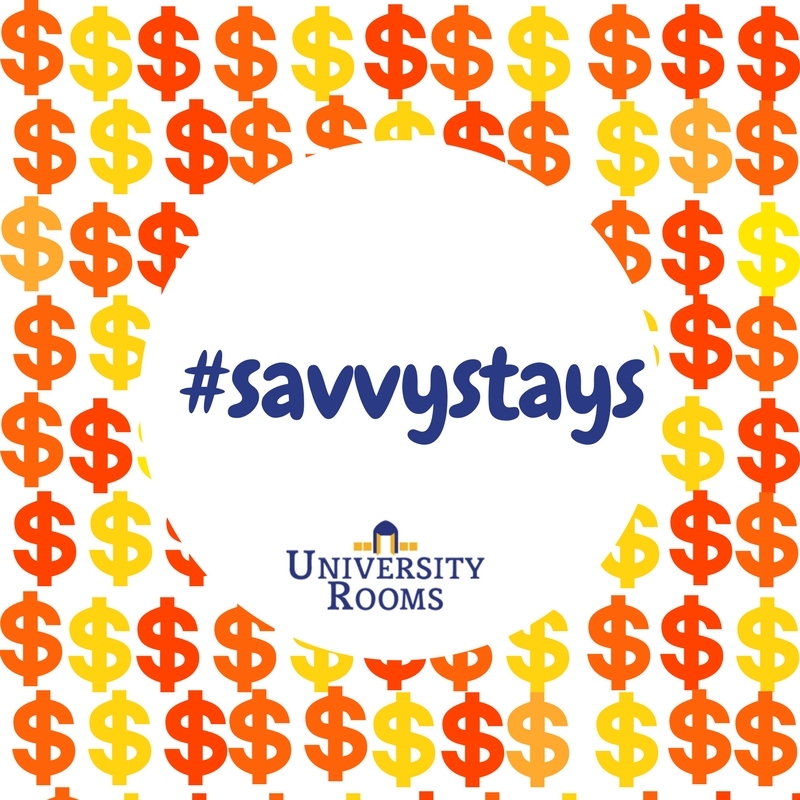 Get ready for #savvystays! Away from the crowds that flock to Spain and France, the tiny Mediterranean island of Malta offers the ultimate summer holiday. Let us persuade you to try out this unusual destination this summer! This week we’re in Oxford with St Hugh's College bringing you the best tips, tricks and steals for an affordable trip to Oxford. We’ll show you what to do, where to eat and where to stay all on a shoestring budget so you can afford to spend your holiday budget on the stuff that really matters. Get ready for #savystays! Want a cheap summer holiday that the whole family will enjoy? Here's our guide on the top 10 family-friendly places in Europe, complete with suggestions for activities and accommodation. The UniversityRooms Guide to the Top Five Pubs in Cambridge! To celebrate #InternationalBeerDay we are bringing you the UniversityRoom's Guide to the Top Five Pubs in Cambridge! Put down your iced coffees and healthy juices, it's time to cosy up and indulge in the delights of all things chocolatey. Don’t know where to get your next fix of cocoa goodness? Fear not, chocolate lovers, University Rooms has compiled a list of the Best Hot Chocolates that money can buy in some of the UK’s key cities, whether you like cream, marshmallows or a bit both, the Ultimate Guide to the UK’s Best Hot Chocolates is guaranteed to see you through until spring. Vacant rooms in university colleges and residences are cleared and cleaned in readiness for guests. You choose where to stay, book it here, and feel great about getting a fantastic deal! Copyright © 2006-2019 SpeedyBooker.com All Rights Reserved. SpeedyBooker powers and partners with the following sites. For a full list, click here.